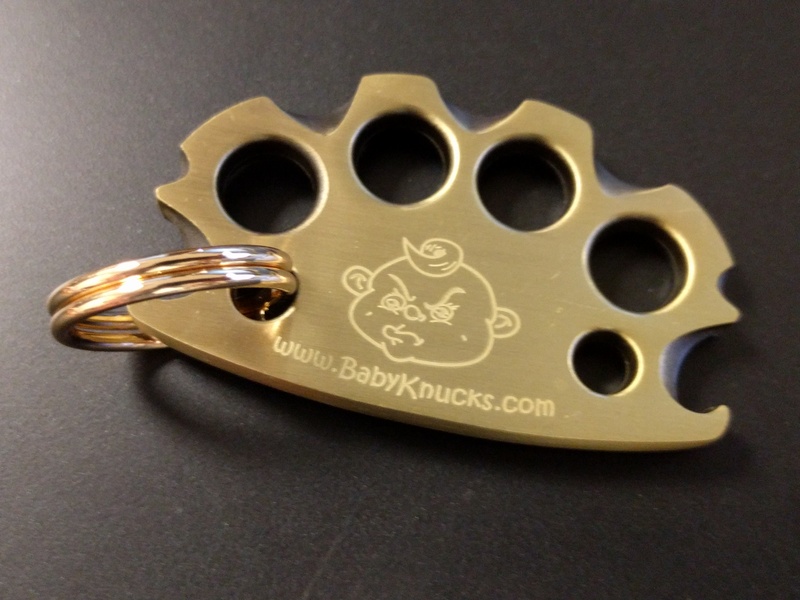 The World's Best Baby Shower Gift! 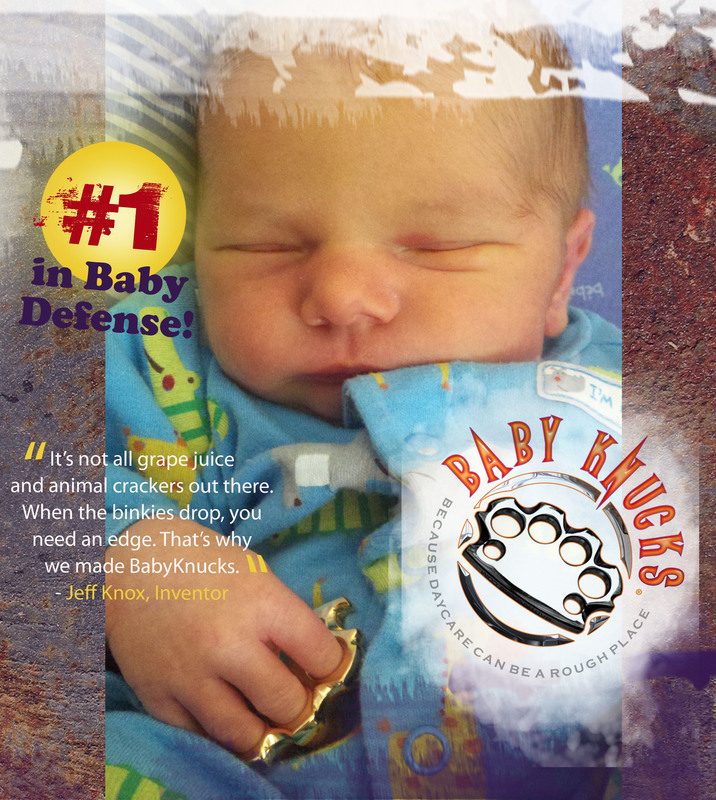 BabyKnucks is one man’s not so serious mission to provide babies with the self-defense tools needed to defend against clowns, zombies and evil babies. 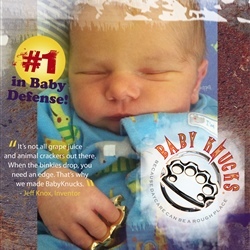 Our handy key ring, ultra-utilitarian bottle opener & infant defense knucks give an instant boost to you preemie's confidence as well as gives a 'Back off there Huey, that’s my puddin' vibe your newborn needs. 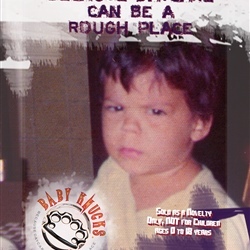 Some people say you should play your baby fancy piano music to make them smarter. 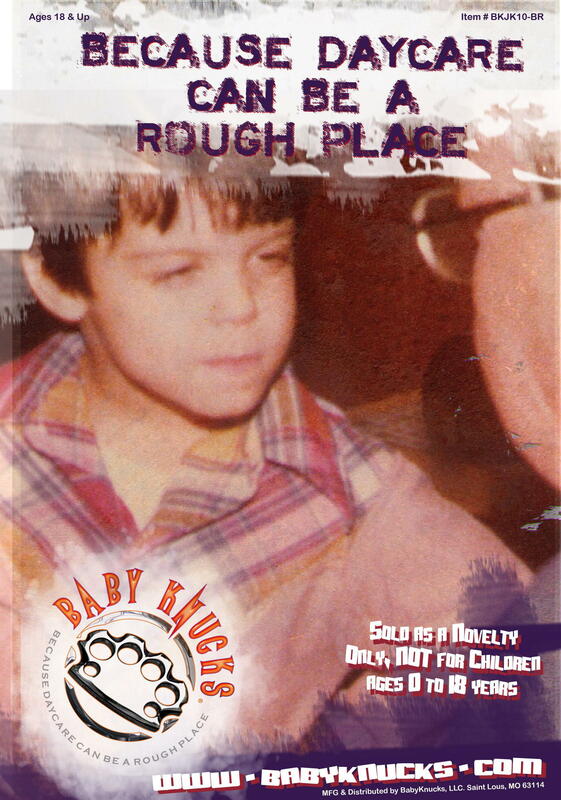 We say they can listen to Tchaikovsky when they are puffing on a bubblegum cigar sitting over the beaten remains of that stupid clown doll that was pinned to his onsie. 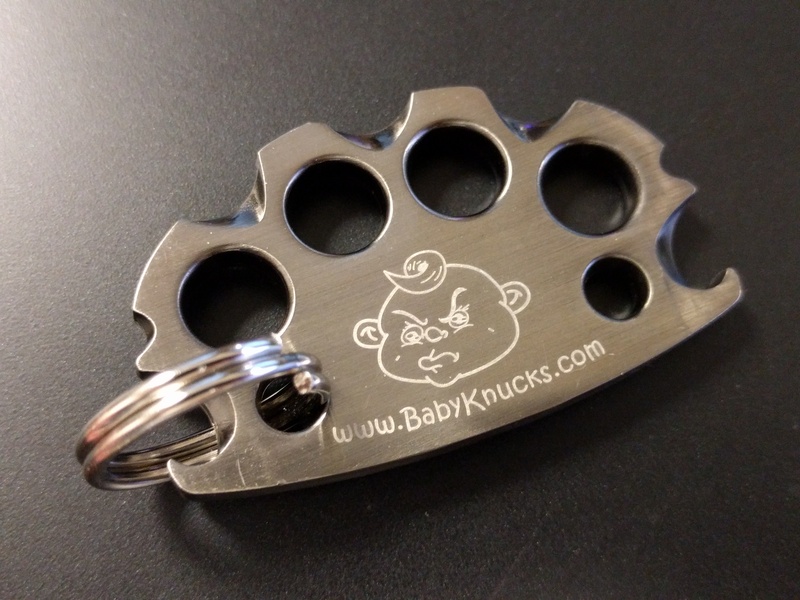 Like many things, BabyKnucks started off as a joke, my hand made prototype was a gift for a friend with a son on the way. 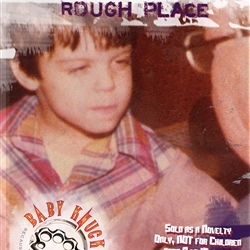 I started showing them to friends and they started talking seriously about my creation, as in there would be a market for them and I should think about seriously making them. 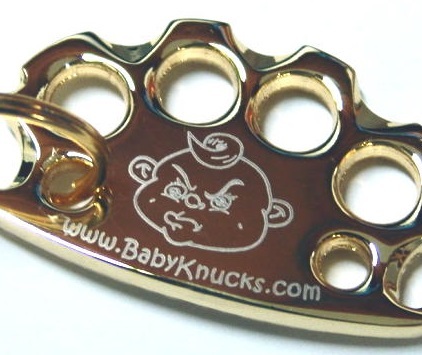 On June 5th of 2010 I received my first run of knucks. 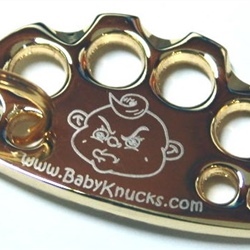 I still chuckle about these knucks every time I look at them or this site. 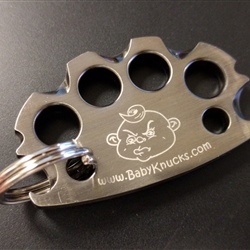 I hope you enjoy my site, my knucks and have a laugh when your friend opens the Babyknucks you got them for their son or daughter. 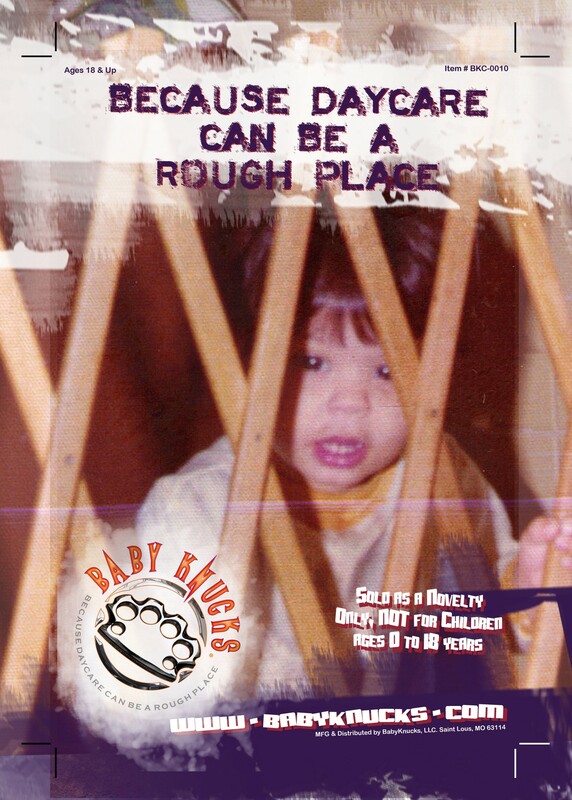 What's better than that? 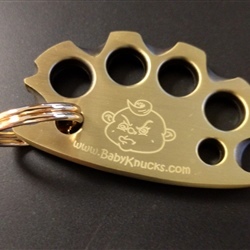 Knowing that a portion of the proceeds of every pair of Babyknucks sold thru this site will go to a child focused charity. 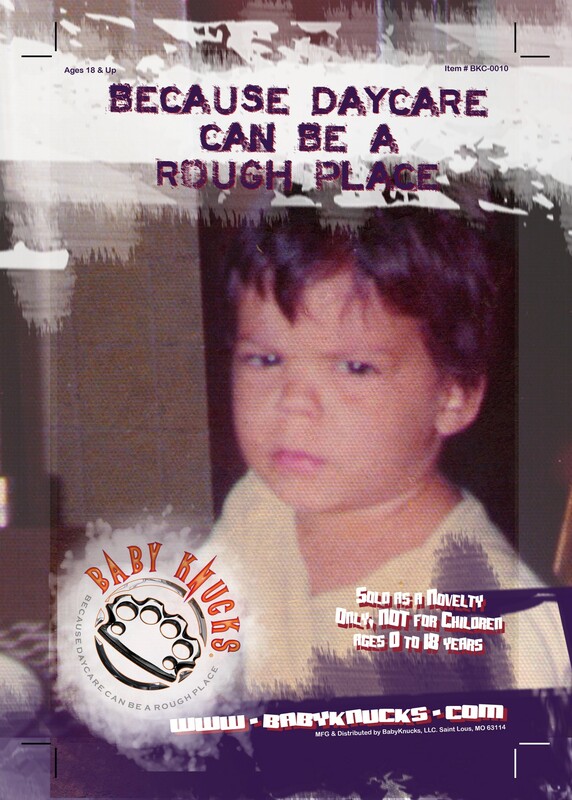 So enjoy and 'Help babies fight back, because daycare can be a rough place'.